PALEMBANG, Indonesia — A 16-year-old student has become a real hot shot in the Indian team. 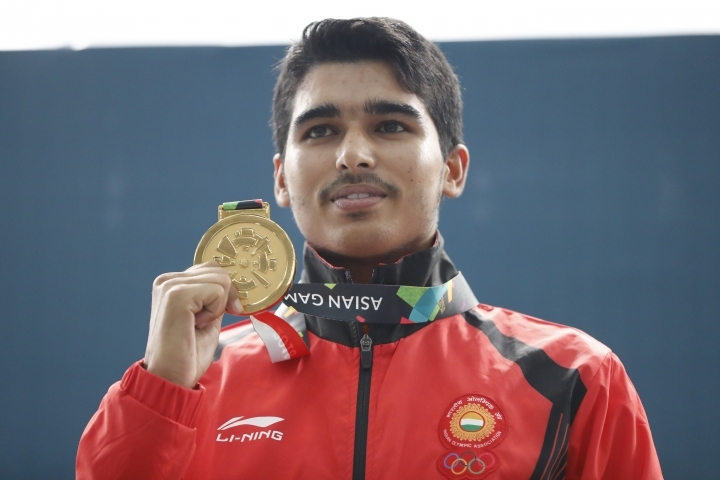 Saurabh Chaudhary won the men's 10-meter air pistol gold medal at the Asian Games on Tuesday in his debut in senior competition, beating a field containing ex-world and Olympic champions. 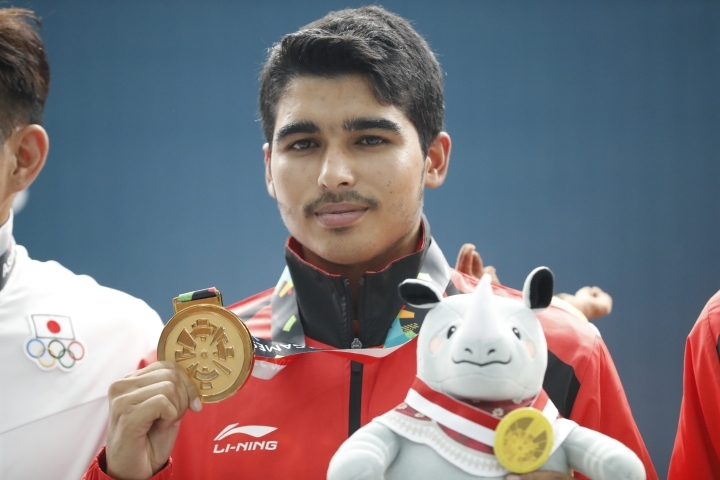 Chaudhary, who only took up the sport competitively three years ago and set a junior world record earlier this year, won with a games record of 240.7 in the 24-shot final. Japan collected silver via 42-year-old ex-world champion Tomoyuki Matsuda, who was a point behind. 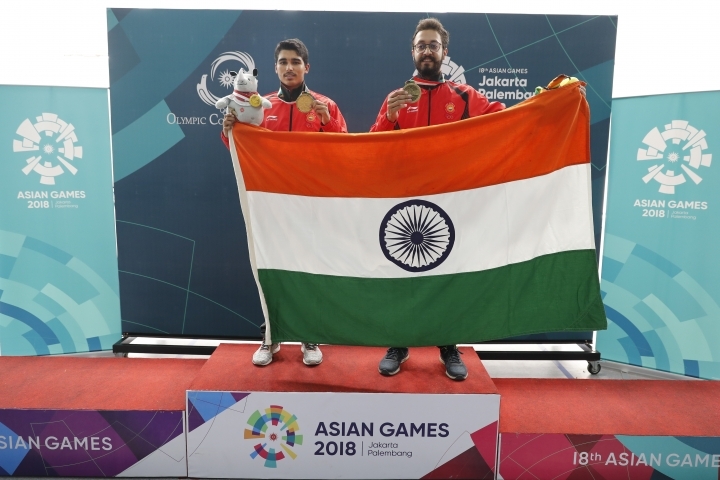 Abhishek Verma joined India teammate Chaudhary on the podium after finishing in third place. "There were Olympian shooters, world champions and so on — to beat them means a lot to me," he said, recalling how he recalibrated for the last two rounds when he realized he was closer than most had expected. "When I was in second position, I thought I will only win a silver ... but at the last the momentum changed and I won the gold." 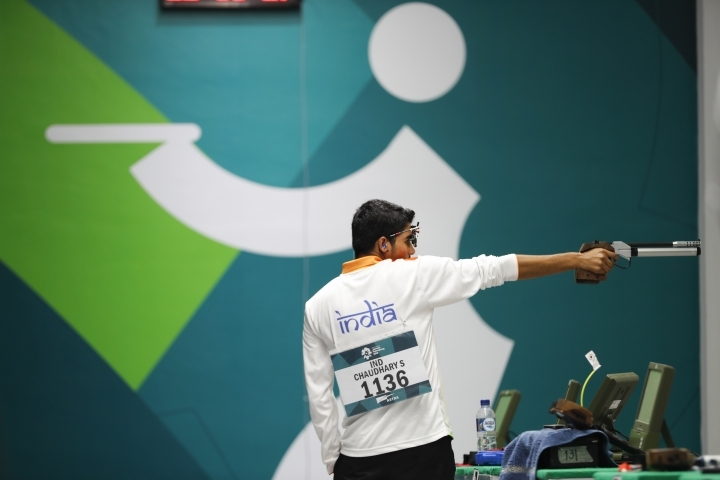 India pistol coach Pavel Smirnov said the gold for Chaudhary was a pointer to the country's potential in the sport. "Now young ones are coming up. Of course this is good ... because this shows a good future for the Indian team in pistol shooting," he said. "We have potential because we start now caring about our young shooters. We are focused on this now. "If we are ahead of the others, and select young shooters then, of course, we have a good and strong future." Praise from home flowed in quickly after Chaudhary picked up India's third gold medal of the games, from high-profile athletes and public figures. In a post on an official Twitter account, India's President Ram Nath Kovind posted: "Our shooters are bang on target! We are proud of you!"